Chris joined Harren in May 2013 and manages the finance and administration functions of the firm. She brings over 20 years of broad financial, operational, and investment experience from her work with lower middle market companies in both the for profit and not-for-profit sectors. Prior to joining Harren, Chris was the CFO of Snowbird Capital, a private investment firm focused on providing mezzanine debt and private direct investment capital to lower middle market companies. She held board positions and was board observer on various portfolio companies within the Snowbird Capital portfolio. Chris was the Chief Financial Officer and a Regional Director of Small Enterprise Assistance Funds (SEAF), an international investment firm focused in emerging markets, and also the CFO at the Thomas Jefferson Foundation where she managed the operating budget, retail and catalog operations, IT and HR. Earlier in her career, Chris held operating positions at MuseumCompany.com, American Airlines, and First American Bankshares. Chris received a Bachelor of Business Administration from the George Washington University, where she was elected Beta Gamma Sigma. She received a Master of Business Administration from the Darden School at the University of Virginia. 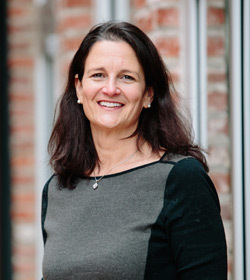 She is a member of the Darden School Alumni Board of Directors and also serves as a Class Agent for Darden.